Homer Volunteer Fire Department Fire Chief Terry Kadel. He came to work as the assistant fire chief in Homer in September of last year. Kadel also has extensive firefighting experience. 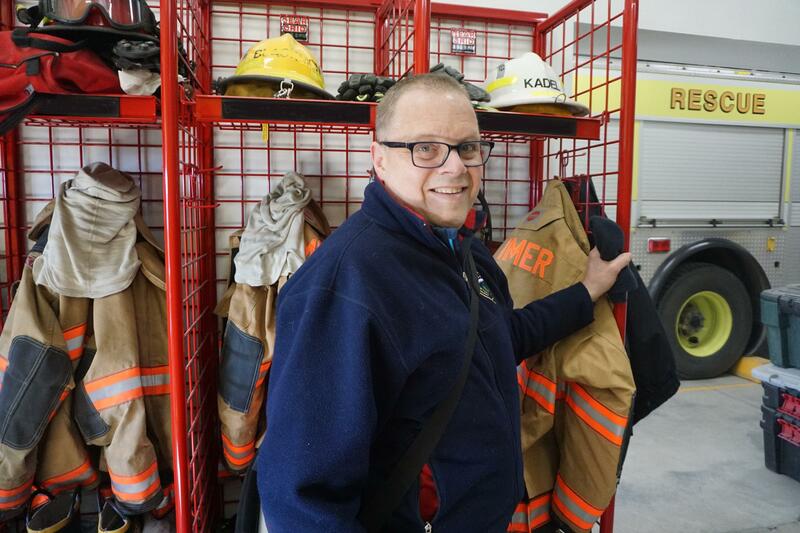 He graduated from the Anchorage Fire Department’s fire officer academy in 2002 and went on to get training from the National Fire Academy in fire officer training, investigation and firefighting strategies. The city is now moving forward with the hiring process for Kadel’s former position as assistant fire chief. Homer Fire Chief Bob Painter is retiring after more than 26 years of service in Homer. He said he’s proud of his achievements. “I think the biggest accomplishment, and I don’t want to jinx anything is that during my time with the department, especially since I’ve been chief since 2000, is we’ve not had a serious injury and definitely haven’t had a firefighter fatality in the line of duty,” he said. In total, Painter has spent nearly 40 years as a first responder.